Story: Born during the Great Depression, Steve Rogers grew up a frail youth in a poor family. Horrified by the newsreel footage of the Nazis in Europe, Rogers was inspired to enlist in the army. However, because of his frailty and sickness, he was rejected. Overhearing the boy's earnest plea, General Chester Phillips offered Rogers the opportunity to take part in a special experiment - Operation: Rebirth. After weeks of tests, Rogers was at last administered the "Super-Soldier Serum" and bombarded by "vita-rays." Steve Rogers emerged from the treatment with a body as perfect as a body can be and still be human. Rogers was then put through an intensive physical and tactical training program. 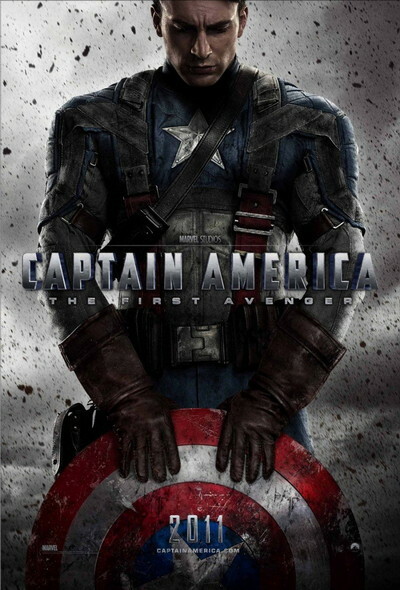 Three months later, he was given his first assignment as Captain America. Armed with his indestructible shield and and battle savvy, Captain America has continued his war against evil both as a sentinel of liberty and leader of the Avengers.